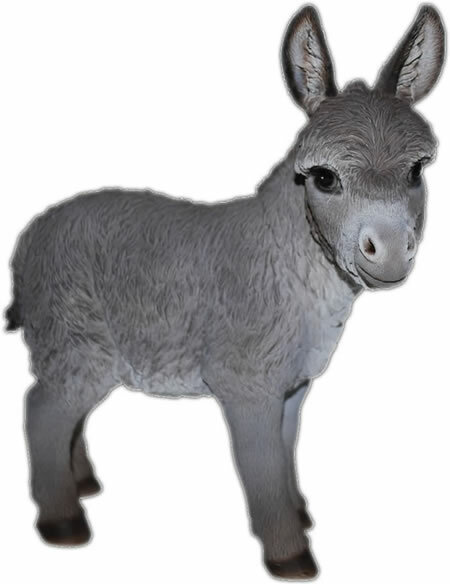 This adorable baby donkey statue is hand crafted by skilled artisans and finished with remarkably realistic details. Life-like and cute as a button, this donkey can go indoors or outdoors in the garden, and is sure to bring a smile to your face. Cast in a durable polyresin and finished in fade resistant paint, you will enjoy the cuteness for years to come.